During the debauchery of a bachelorette party in Miami several years ago, I purchased these beautiful sandals by Steven by Steve Madden. I was instantly persuaded by the shiny gold medallions like a gullible fish to a lure. The sale price and quality leather only further justified my impulse purchase. But, little did I know, these strappy sandals would adorn my feet during one of the most important walks of my life. Too much fun to be had to sleep! Here we are at the airport waiting for our flight from Istanbul to Sivas. 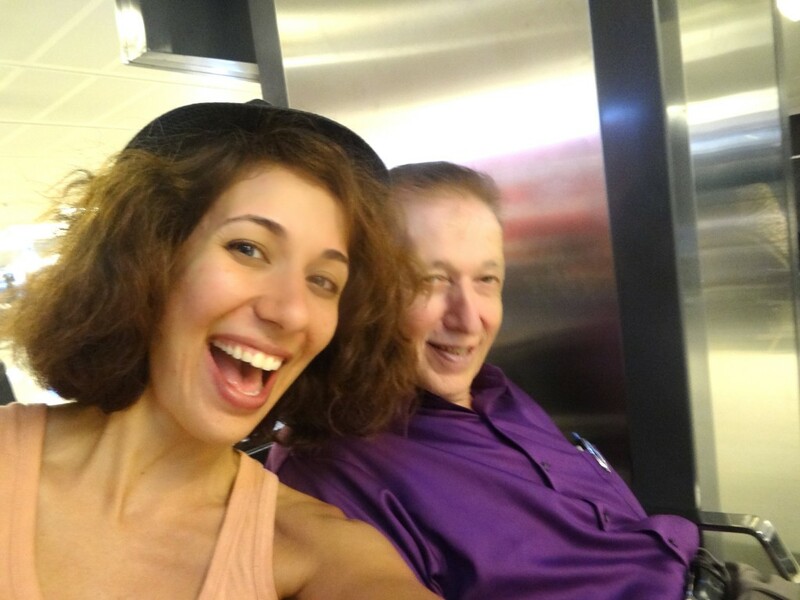 This past August, my father and I went on a whirlwind Baba Kiz (translated to “Father Daughter” in Turkish) adventure to our homeland of Turkey. 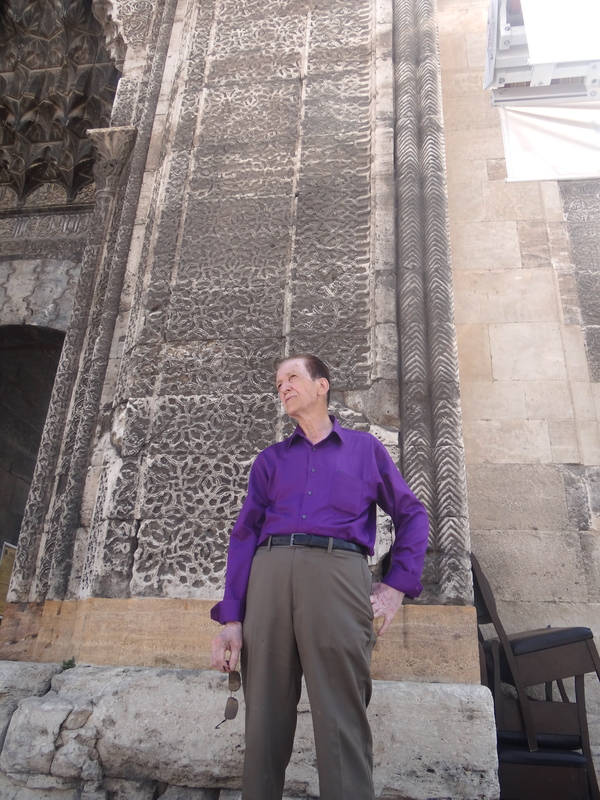 It was quite the expedition for various reasons : many stops and plane trips throughout the country including stops in his birthplace of Sivas and to the beachside city of Izmir, where he spent his high school years and beyond. 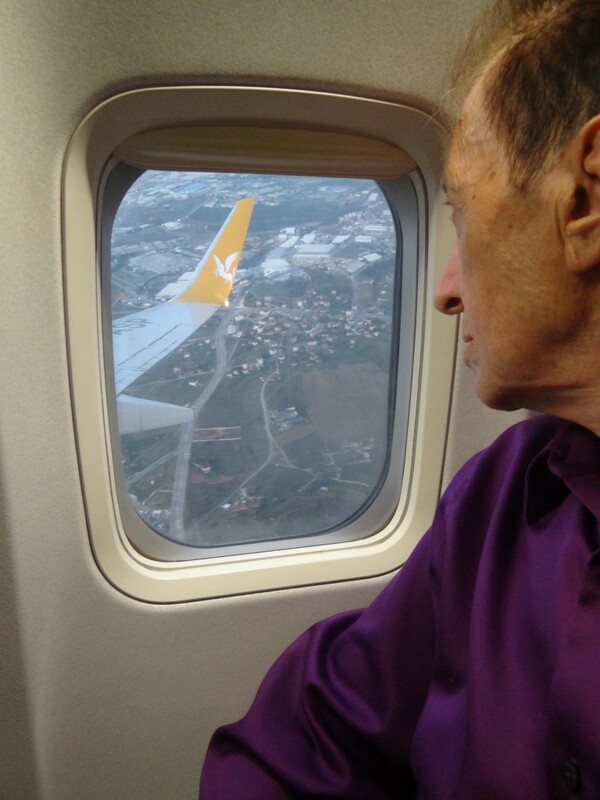 Having not been there in ten years myself, it was the ultimate privilege to witness my father taking in all of the changes to his country, as well as to transportation – himself not having been back to Turkey, been on a plane or ever have taken a proper vacation in over twenty years. We pounded A LOT of pavement and dirt roads during the trip, which is the only way in my opinion to truly experience any area. 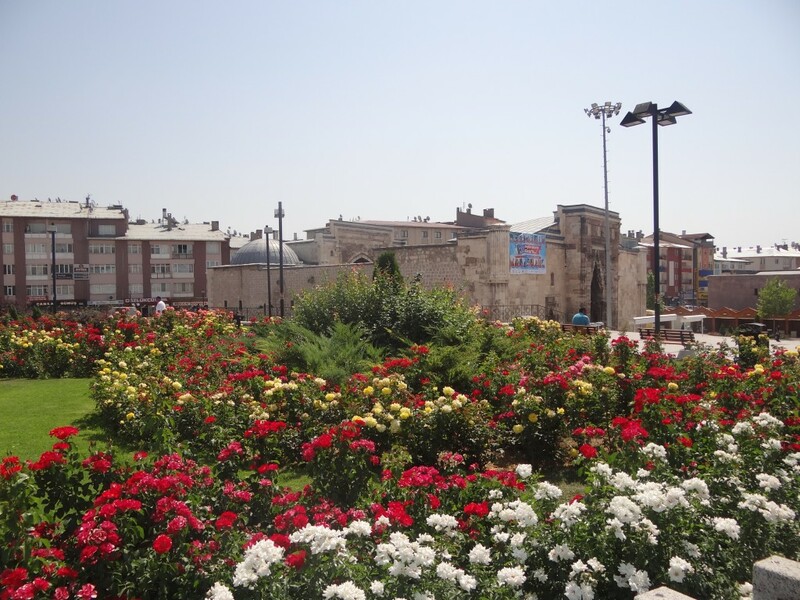 When we landed in Sivas, we threw down our luggage in the hotel and immediately went searching. My dad hadn’t been back to his birthplace in over fifty years! As much as things do change, some do stay the same. 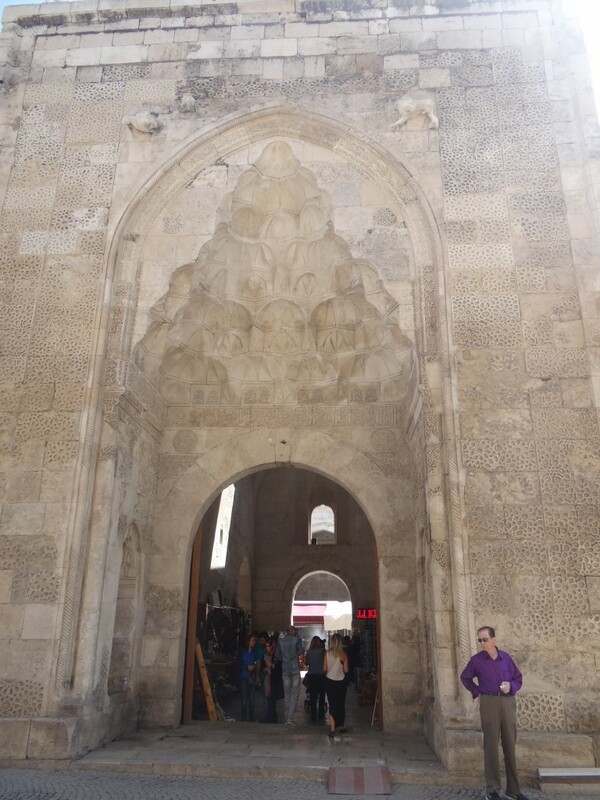 We were able to find the town centre, and through landmarks and asking questions, we were able to weave in and out of cobblestone streets that apparently have changed in name 20 times over. But after careful deduction and searching, we were able to uncover the exact area where his house was. It was an incredible feeling, to see where nearly 72 years ago, my father’s life began and from this starting point, his life’s journey. The beautiful flowers in the center of town. 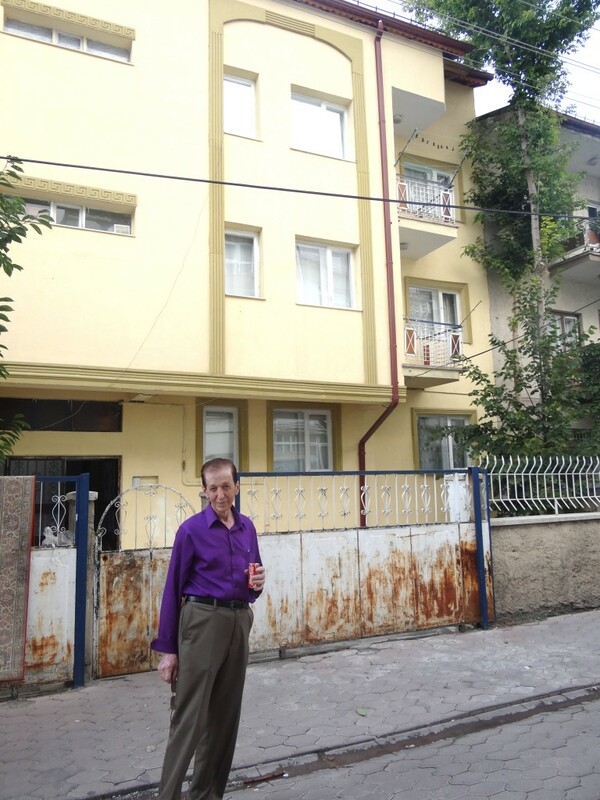 Papa Turka standing in front of where his childhood home once stood. After a leisurely stroll, we came upon his still standing and functioning (impressive in and of itself) elementary school! 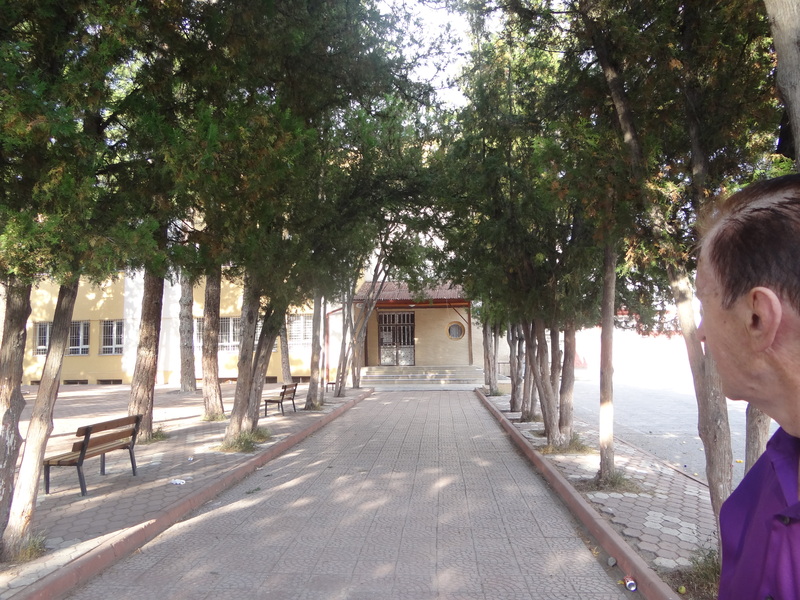 From there, we continued our journey to his middle/high school as well (which is still standing also, though being transformed into a museum of sorts). My father looking on to his still standing elementary school. My whole upbringing, I was constantly reminded (cue the adolescent eyerolls) about how he would walk over a mile to school amidst treacherous weather conditions and worn-out shoes. So, we decided that we would take this walk to school, but this time together, side by side. I loved having him eagerly point out familiar places, telling tales of the way things once were and walking by many balconies with peppers strung and drying in the sun. These women are rearranging the stuffing in their mattresses, a tedious chore they do once a year. 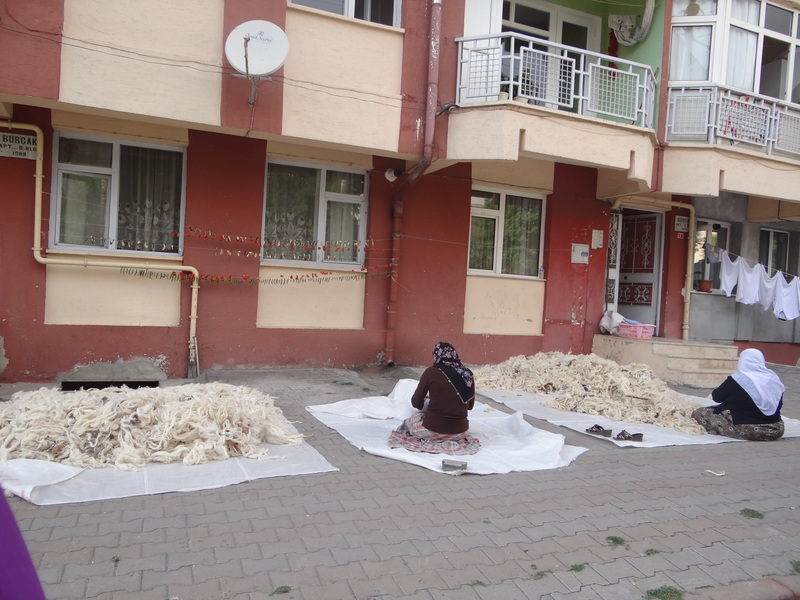 I thought they were making Turkish cotton candy, which made my Dad laugh hysterically! Also, if you notice in the corner of the one balcony and in front of the windows, lots of drying peppers! It will never cease to amaze me how buildings this massive were built thousands of years ago! 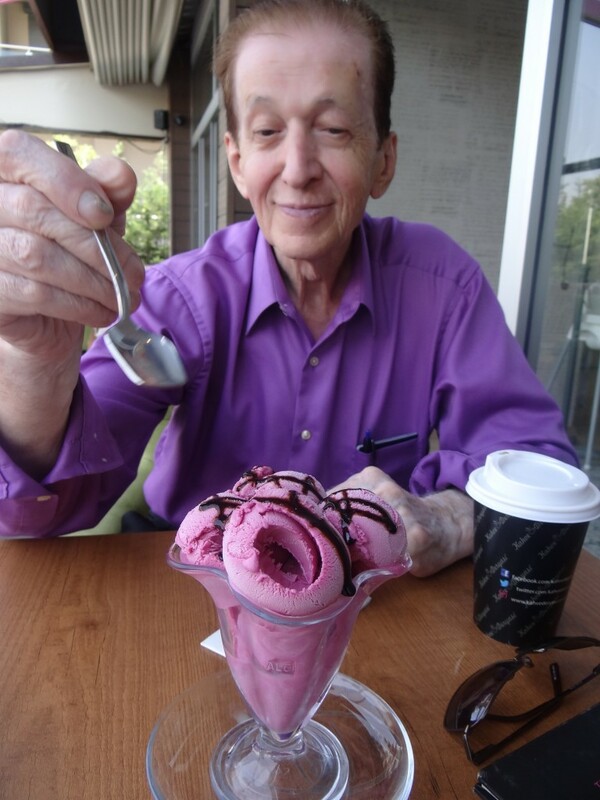 I now know where my adoration of ice cream comes from! Each step of the walk was a step retracing his history and where he came from, many years and hardships ago. This man I knew my whole life, despite our ups and downs in understanding of each other, suddenly seemed anew. 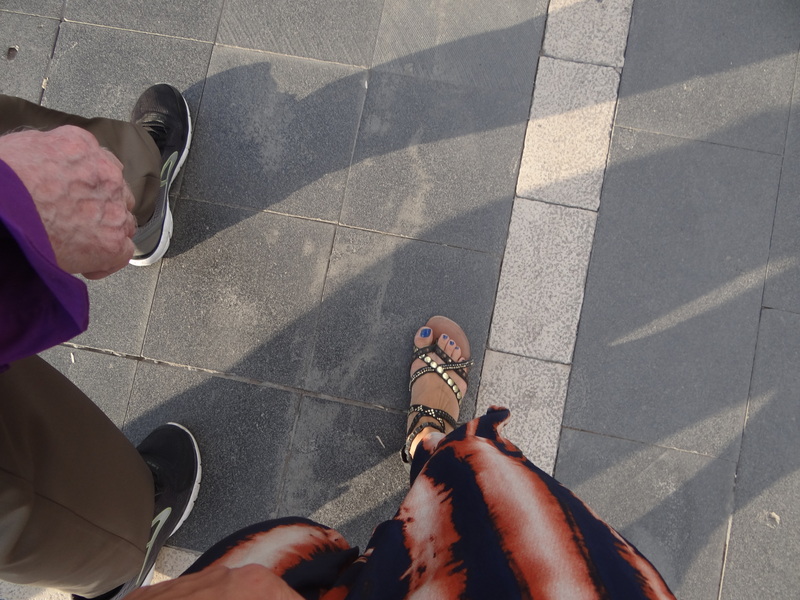 Because from where I stood, these gold medallioned sandals guided my path and brought me to the greatest treasure and blessing I could ever ask for in life – a day in his shoes.